16 days from £3660pp plus international flights. Explore the gorgeous scenery, the rich history and of course the prolific wildlife which goes hand in hand with a visit to KwaZulu Natal! You will get to experience the infamous Battlefields, the Drakensburg, Pongola Game Reserve, beautiful Kosi Bay and finish on a relaxing note by the beach in Umhlanga, Durban. Highlights of this trip include the captivating history of the Battlefields, you cannot help but be moved as you hear the stories of the epic battles. You will experience the dramatic scenery of the Drakensberg mountains, take game drives seeking out the Big 5 and visit the north coast of Kosi Bay before venturing south again and finishing off by the Indian Ocean. If you've decided to self-drive you'll be in the driving seat, and you'll have freedom and can set your own pace and stop for photo opportunities whenever you wish. However we can also plan this trip for you with your own driver who'll transfer you from place to place to make it more relaxing. The accommodation we have chosen for you along the way will welcome you and provide the perfect home from home. 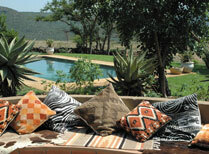 All have creature comforts that you would expect but each has their own style, personality and ambience. 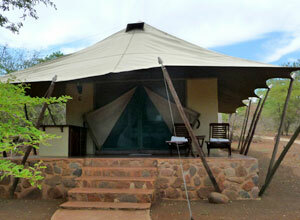 They vary from guest houses to tented lodges to a boutique hotel. all with en-suite accommodation and with enough variety so that you get a taste for this wonderful province. If you like to explore, meet people and experience a broad range of activities, then this could be the perfect holiday for you! Today you will have a full day to explore the northern region of the Drakensberg and enjoy the stunning scenery of Cathedral Peak and the Champagne Valley. The Drakensberg Mountains are the highest mountains in southern Africa and curve around the border between KwaZulu Natal and Lesotho. The walking and hiking in this area are excellent with some good examples of rock art to be seen. Full board. 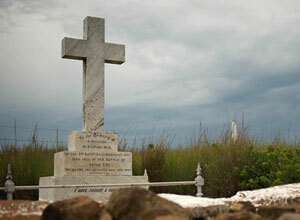 Today we step back in time to what was the bloodiest single day of the entire South African War. Listen to a moving account of how the British attempted to capture Spioenkop on 23 January 1900. 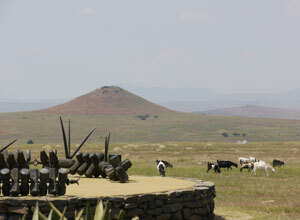 Spioenkop was the highest point on the Boer defensive line. Walk in the footsteps of Louis Botha, Winston Churchill and Mahatma Ghandi who all played a role in this battle. 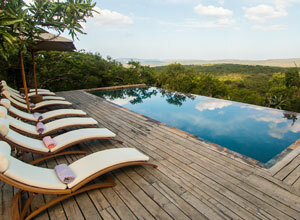 Later spend some free time back at this gorgeous lodge. Full board. 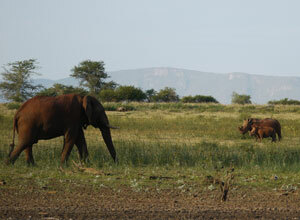 Today you drive on to the Zulu Battlefields through scenic countryside. This area is where the British fought the Zulus in a series of well-documented bloody conflicts. You are staying at a famous place called Fugitive's Drift. 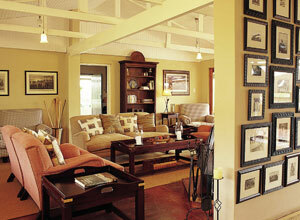 This comfortable, family run guest house is steeped in local history. Full board. Today you will drive on, through more South African scenery to the Pongola Game Reserve in northern Zululand, close to the Swaziland border. 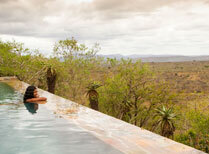 Dominated by the majestic Lebombo mountains and the shimmering waters of Lake Josini, this is an area of stunning natural beauty with wildlife to match. You will be able to explore this location over the next few days. 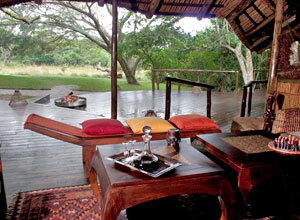 Settle into your safari tent and have a drink at the bar as you look forward to the safari adventures to come. Full board. Get close to nature both on land and in the water with a variety of activities on offer. Take an early morning game drive and then in the afternoon experience the beautiful waters of Lake Jozini either by motor boat or by canoe. Track black rhino with a professional guide, or perhaps head out on foot to look for elephant and see what else can be discovered on the way. Pongola was one of the first proclaimed game reserves in South Africa and is proudly home to 4 of the Big 5 as well as 350 species of bird and numerous antelope. Full board. 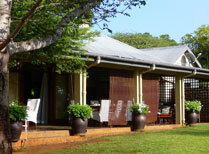 You will drive to iSimangaliso Wetlands near the coast, your home for the next 2 nights. You will meet a representative from Kosi Forest Lodge at an agreed location, where you leave the car at a secure place and transfer to the lodge in open 4 x 4 vehicle. It takes around 30 minutes, so enjoy the ride. 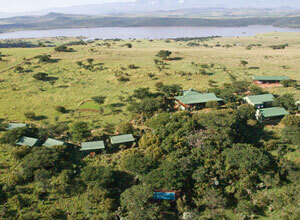 The lodge overlooks a lake, and has a tranquil and relaxing ambience. 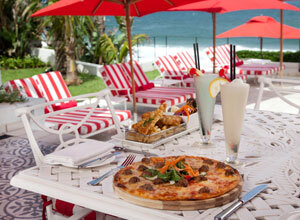 Delicious meals are served alfresco either on the deck or under the shade of large albizia trees. You can start to explore straight away if you wish, perhaps with a guided walk, or you may just decide to take things easy. Full board. 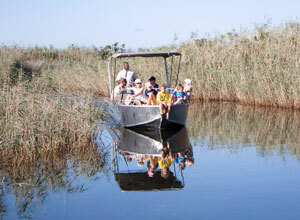 Today you can enjoy the Kosi Bay Nature Reserve to the full. This network of lakes and channels covers a vast area. You can explore the waterways paddling peacefully by canoe with a professional guide to point out the local flora and fauna, or perhaps take a guided walk in the raffia palm forest and admire these enormous trees. Many species of birds make their home amongst these, the largest palms in the world, including the palm nut vulture. Alternatively (as optional extras), explore the area on a full day motor boat trip complete with picnic lunch and a refreshing dip in the sea, or head up to the Kosi Bay mouth for some great snorkelling and views. Full board. Your time at Kosi Bay has come to an end. You will be taken back to your vehicle via 4 x 4 and then it's onward to the beautiful Hluhluwe Umfolozi Park, the heart of Big 5 territory. You will arrive at your accommodation in the afternoon, giving you time to unpack, relax and take in some of the breath-taking scenery of the area. Full board. Start the day with early morning coffee, rusks & fruit on the deck then set off with a professional guide for an exciting game drive exploring the private concession and the greater Hluhluwe Umfolozi Park beyond. You will return to the lodge to enjoy a scrumptious breakfast, then take time to relax and perhaps take a well-earned siesta. After some mid-afternoon refreshments, you'll join your guide again for an afternoon game drive in a different area of the concession to see what other wildlife you can find. 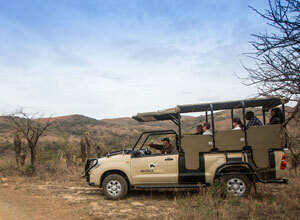 The guides are hugely knowledgeable and always keen to share their knowledge with you. You will be able to swap stories with other guests at dinner. Full board. The adrenalin portion of your holiday is now over and it's time for some well earned relaxation at the beach, as you head south towards Umhlanga Rocks and your home for the last three nights of your South African adventure. 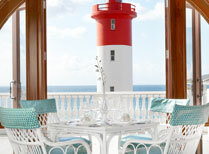 The Oyster Bay is an upmarket hotel boasting its own lighthouse. 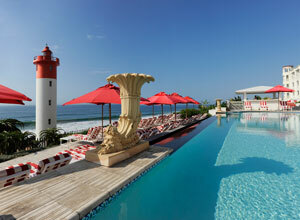 It's right on the beach and you have the Indian Ocean stretching out before you. Grab a cocktail at sundown and admire the beautiful views. Breakfast. You can opt to spend time at the pool or on the beach, perhaps taking a dip in the sea. You may want to partake in a little last minute shopping for souvenirs, the choice is yours. 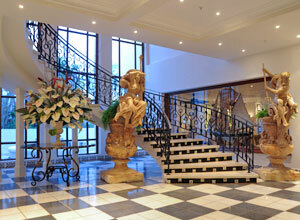 There are plenty of wonderful restaurants to choose from both in the hotel, nearby in Umhlanga, or in downtown Durban. All are easily accessible from your hotel. You could explore the vibrant market or simply opt for a pampering spa treatment at the hotel's in-house luxury spa. Choices, choices! Breakfast. Sadly your holiday comes to an end today. It's time to pack your bags and drive to King Shaka International Airport in Durban where you will drop off your hire car. From here we can arrange for you to fly home or you can continue with onward arrangements. Price notes: 2019 guide prices pp based on 2 sharing: Self-drive in LOW season (May to July) £3660 to HIGH season (December) £4895. If you prefer to be use private transfers, the range of prices is from £5295 to £6140 pp sharing. 15 nights accommodation on twin share basis; meals as specified (12 nights full board and 3 nights bed and breakfast); group C hire car from Johannesburg on day 1 to Durban on day 16 (or private transfers thoughout if you choose that option); 4x4 transfer to and from Kosi Forest Lodge; half day Spioenkop tour, half day Rorkes Drift tour, half day Isandlwana tour, full day Drakensberg tour, two daily activities at White Elephant Lodge, all activities at Kosi Bay and game drives at Rhino Ridge. International flights; departure taxes; visas; travel insurance; meals not specified; drinks at Fugitives' Drift Guest House; items of a personal nature; tips. Car hire rental deposit, E-tolling fees (Gauteng), traffic fine handling fee, claim handling fee, assessor’s fee, GPS unit, fuel and toll fees. This holiday starts in Johannesburg and ends in Durban. Return flights from the UK start from around £850, depending on season and availability. 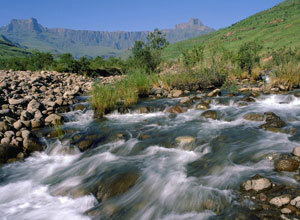 The dramatic mountain range of the Drakensberg curves around the border between KwaZulu Natal and Lesotho. They are the highest mountains in southern Africa. It is wild and rugged here, with spectacular scenery and it is a paradise for hikers.